Alabi-Isama taught with a flair that brought out the enthusiasm in the participants, before releasing them to practice what they had been taught on the streets of Lagos. Canon provided cameras for the participants, who were split into groups and assigned leaders. After a long day of shooting, the participants submitted images to be reviewed by a panel of professional photographers. Canon provided a compact camera and a Selphy printer for the winner of the the best image shot during the workshop. 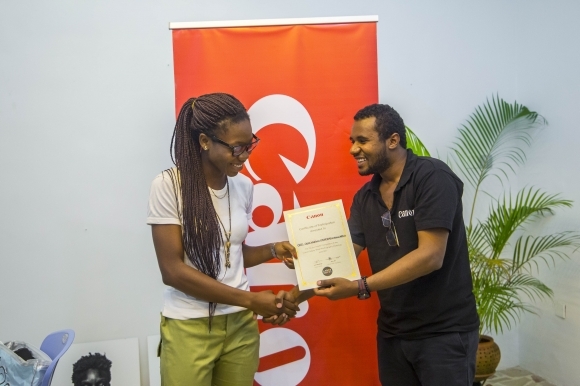 LagosPhoto Festival in partnership with Canon Central and North Africa held a street photography workshop earlier in the year, with acclaimed photographer and film maker John Nwabugu. The second edition of the workshop was facilitated by Leke Alabi-Isama, a documentary photographer from Lagos, Nigeria with a passion for connecting the viewer with the multi-faceted realities of their daily life.